Whilst George Monbiot says Heat was written “in the spirit of optimism”, it is in reality permeated with pessimism, displaying a sharp contrast between his positive plans for cutting greenhouse gas emissions and his sceptical view of people and politics. To avoid the point of no return for human society, a global reduction of 60% in greenhouse gas emissions is needed and to achieve it the richest nations will need to cut theirs by 90%, Monbiot explains. He contrasts this with the Kyoto protocol (never implemented) which proposed a 5.2% cut by 2012. He breaks down the UK’s required 90% cut to an individual level, an annual average reduction from 2.6 tonnes of greenhouse gas emissions per person to 0.33 tonnes. He suggests each person be given a carbon allocation, which they could use or sell. So, in theory, the poor could turn their own inability to use their whole allocation into income by funding 4x4 and air miles for the rich. To achieve the whole reduction would require that alongside these individual carbon allocations, a carbon-neutral infrastructure is created. “The government” (Monbiot does not say which one, specifically but obviously he can’t be thinking of New Labour) would need to redesign and restructure transport, electricity generation and energy efficient housing. And he provides a series of extremely detailed and well-considered chapters on how this could be achieved. However, his core argument is that individuals must be regulated in order to “quell the destruction wrought by the god we serve, the god of our own appetites” says a particularly purple passage. “Manmade global warming cannot be restrained unless we persuade the government to force us to change the way we live,” he writes. But this is standing the world on its head. It is not ordinary individuals who are responsible for 30 years of failed summits and government inaction. This leaves out the most essential complicit relationship driving the problem – between the global corporations who run the economy and governments who act in their interests. No government has either the serious intention – or the means – to regulate them, or “quell the destruction wrought by their god” - profit. Monbiot himself describes how fossil fuel corporations are engaged in a “greenwash” whilst resisting any reductions. They use their tremendous wealth, he says, to buy everything they need “including a politician’s suit with the politician still in it.” He quotes figures suggesting the US government is subsidising the corporations annually to the tune of $2.6 trillion, about five times the profits they were making at the time his book was written. The thirty richest governments are spending some $71 billion subsidising fossil fuels and nuclear power and a staggering $1.1 trillion on road transport. “Worldwide, governments pay companies $25 billion a year to destroy the earth’s fisheries and $14billion to wreck our forests,” he explains. He delivers a powerful exposé of the “denial industry”, supported by journalists like Melanie Phillips of the Daily Mail and Peter Hitchens of the Mail on Sunday, who deny climate change with bald assertions based on cod science, often financed by the corporations. (They grew strangely silent on the issue in 2006). He discovered that a claim by the TV naturalist David Bellamy that glaciers are growing, not retreating, was taken from a web site which is financed by fanatical racist right-winger Lyndon Larouche. Larouche also believes the British government is controlled by Jewish bankers and the royal family is running an international drugs syndicate. Monbiot highlights the political pressures scientists face, reporting that Sir David King, the British government’s chief scientist, has said atmospheric carbon dioxide needs to stabilise at 550 parts per million. When challenged that at this level the chances of preventing global warming are less than 20%, Sir David replied that if he recommended a lower limit, he would lose credibility with the government. Monbiot’s approach, despite his command of a wide range of facts, is in the end a subjective one. He locates the problem in individual greed and not within the wasteful capitalist system of production and the intensity of the last 30 years of corporate-driven globalisation. This reasoning inevitably leads to cynicism about the ability of society to save itself from eco-destruction. 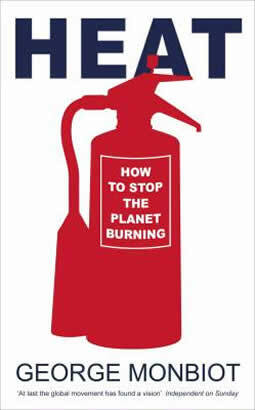 For a more coherent explanation of the underlying causes of the crisis, readers will soon have access to Running a Temperature, published by A World to Win at the end of January 2007. This new pocket guide to the eco-crisis analyses the capitalist economy as an integrated system. Monbiot is not wrong to worry whether people will put their faith in unproven technologies, or fail to act believing that “someone or something will save us”. And he is right to say that taking action means “moving your legs” and not thinking that a movement that exists only in cyberspace has the power to bring about change. He calls on people to force governments to reverse their policies, by “joining what must become the world’s most powerful political movement”, but opts out of explaining how this can be achieved. If such a mass movement were to be dissipated in protests that governments will ignore, around the unachievable slogan of “sustainable capitalism” this would amount to a tremendous failure of leadership and betrayal of humanity. The eco-crisis cannot be resolved by governments whose very role it is to uphold the rule of the corporations who control the commanding heights of the production system. It is time that the crisis-ridden, unstable ruling circles in the UK, the US and elsewhere are swept away and replaced by new decentralised, networked forms of democratic government to work out equitable solutions for all.